Home / Featured / Motorola / News / Official: 3 million Moto Z phones have been sold! Official: 3 million Moto Z phones have been sold! During the Italy brand launch today, Lenovo and Motorola announced it sold 3 million Moto Zs worldwide since its launch less than a year ago. 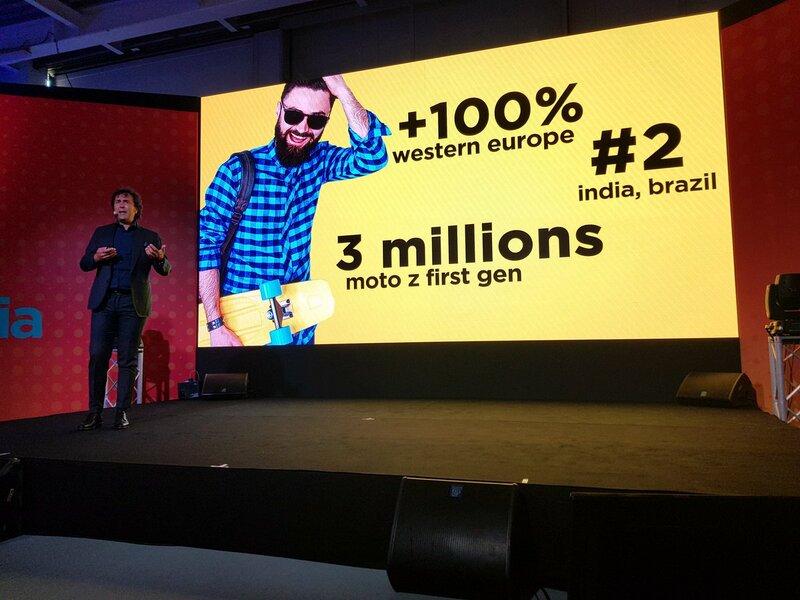 According to Lenovo itself, sales of Lenovo & Motorola smartphones made them grow 100%+ in Western Europe last year. That's great considering Motorola hasn't been strong in the old continent since the Moto RAZR. Lenovo and Motorola launched its portfolio in Italia yesterday and took time to show off the new "Motorola" visual identity, which now shows the full name and is something the biggest fans had craved for over a year. The event was called #MotorolaIsBack and is a series of events Motorola is doing in Europe this month.